Remember the “good old days” when you’d walk into a room and flick the light switch that lit up your room courtesy of one big — often ugly – light fixture installed dead center in the ceiling? (If you’re living in an older home, you may not even have to remember). Needless to say, we’re much more savvy about lighting these days, recognizing that we need more than one big glaring fixture and a few lamps to properly light a room. A well-lit room requires ambient lighting (an overall lighting source), task lighting (for performing tasks like food-prep, reading, etc.) and accent (mood) lighting to create a little atmosphere or to highlight artwork or architectural features. Recessed lighting is a popular choice for providing a room’s ambient light since it can be spread out to a light a room more evenly instead of blasting too much light into a room’s center and not enough around its perimeter. Installing recessed lighting will not only give your rooms a more modern look and light them more efficiently, it’ll also save you a little money on your electric bills. 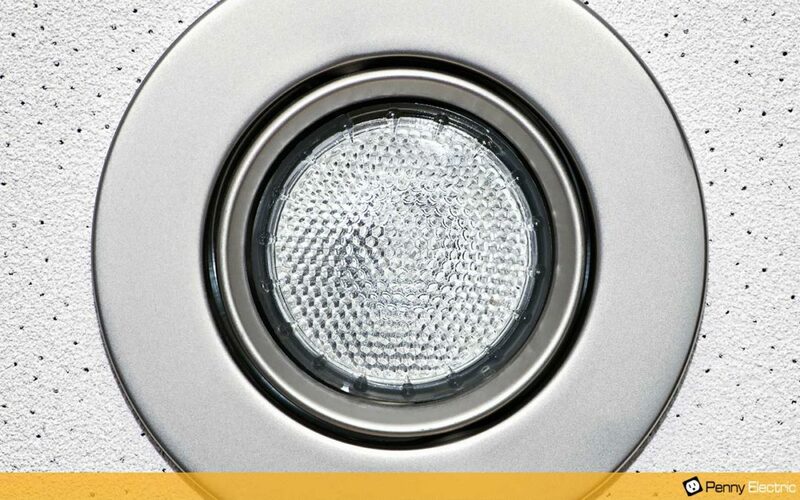 Recessed lighting is versatile, and can just as easily be used as accent lighting. Why, you ask would you want to recess an electrical outlet? Simple, push a chair up against one, and you’ll immediately realize that you can’t put the chair – or anything else – flush up against the wall without leaving room for the plug to protrude from the outlet! Recessed outlets can both maximize space and look better. A relative of the recessed electrical outlet is a “pop-up” outlet, which, as its name implies, pops up when you need it and retracts when you don’t. These are especially useful in kitchens and bathrooms. If you’ve never considered recessed cable management, you don’t know what you’re missing. This clever electrical innovation allows you to easily route low-voltage cables through the walls behind flat panel TVs, amplifiers or audio / video devices, and eliminates the unsightly tangle of wires, connectors & cable covers you might be looking at now. Wires go directly from the screen into the wall — problem solved! Using recessed electrical components is the modern way to deal with unsightly electrical annoyances in an attractive, efficient and practical way. If you’re living in the Las Vegas / Henderson area of Nevada, why not give the area’s number one licensed electrical service a call to arrange for conversion or installation of some or all of these recessed electrical components? The staff at Penny Electric are safety-oriented, licensed, bonded and insured electricians who serve the Las Vegas / Henderson region including Summerlin, Green Valley, Boulder City and surrounding Southern Nevada areas. We treat every one of our customers with respect and the utmost in professional service. For pricing or information, you can request a quote online or call us at 702-279-6040 during standard business hours.